Normally when the Hockey Hall of Fame Selection Committee announces their picks for election there is some grumbling and debate over if a player was good enough to receive one of hockey's greatest honours. This time around, I think everyone can agree on each elected individual being worthy of entering the Hockey Hall of Fame. Rob Blake, Peter Forsberg, Dominik Hasek, and Mike Modano are the player inductees while Pat Burns and Bill McCreary enter in the builders category and on-ice officials category respectively. 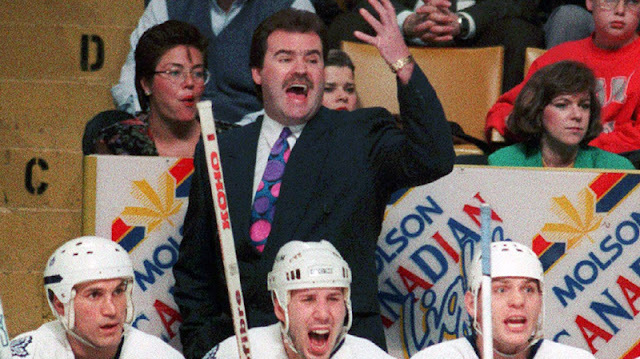 It's a great class with three first-ballot selected to enter and the selection committee finally righting a wrong with Pat Burns getting the official recognition he deserved years ago. One word to describe Peter Forsberg: dominant. Watching him play was like a AAA kid playing against houseleaguers (see his performance at the 1993 World Juniors). His power moves were special to see as he could create a turnover with a quick hit and finish the play with a pretty goal at the opposite end. Listed at 6'0" and 205lbs he played nowhere near that size and it's not surprising he gets into the HHOF with only 708 regular season games played. It's such a shame injuries plagued his career as his stats could have been much more ridiculous than they currently are. Forsberg's legacy will forever live on as hockey player's attempt "The Forsberg" breakaway move and we'll enjoy telling our kids about his style of play when they ask about "Foppa" at the Hockey Hall of Fame. The first thing that comes to mind when I think of Dominik Hasek is him being arrested during a roller hockey game. 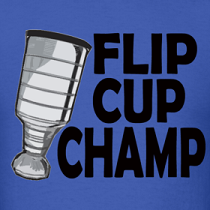 Just kidding, you obviously remember his desperation style of flopping around that made for many highlight reel saves. Whether it was dropping his stick to grab a puck with his blocker hand or doing a corkscrew to save a goal with the back of his head, Hasek did whatever he had to do to stop the puck. And stop pucks he did, as Hasek would win six Vezina trophies, three Jennings, two Hart Trophies and two Ted Lindsay Awards on his way to having the best all-time career save percentage at .922. and has the best GAA of all-time in the modern era with a 2.20. He's the most emulated goalie in street hockey history and you have to give him props for wearing that awful, awful bucket for his entire career. There's a few things that come to mind when I hear Mike Modano's name. The first is him falling off a stretcher following a brutal Mark Messier head shot (seriously, how many games would he get for that in today's game?). The second is his awesome cameo in The Mighty Ducks and his classic line, "I heard you were a farmer" to Gordon Bombay. On a more serious note, Modano was a very exciting player to watch and while he didn't win any individual hardware (he's got a Stanley Cup though! ), he was a consistent point-per-game player and should remain the highest scoring American-born player for a very long time. Modano is also partially responsible for the Calder Memorial Trophy age limitation after being robbed of the award at age 19 by a 31-year-old, Sergei Makarov, although he now has the last laugh as he's in the Hall of Fame and Makarov still waits. It's hard to come up with career highlights for a referee, but McCreary always seemed to be reffing an important game. With 14 Stanley Cup Finals officiated including 13 straight, and two Olympic Gold Medal Games under his belt it's no surprise we think that way. 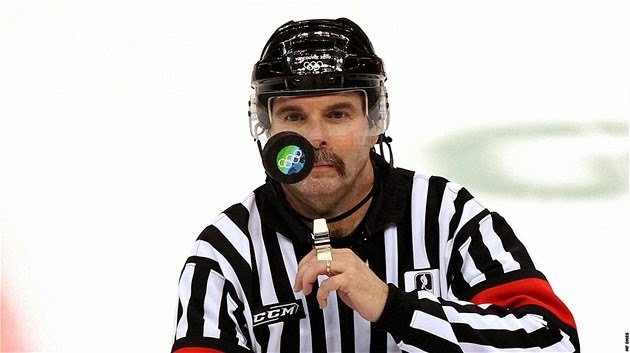 You don't get those honours by officiating like Tim Peel and while we've probably all swore at him, McCreary was a solid stripes to have calling your game. We'll miss your puck flips and mustache!